Digitization is a hot topic on everyone’s minds, with its promises to make manufacturing companies competitively lean and mean. But with all these buzz words like Industry 4.0, smart manufacturing, and IoT connectivity being thrown around, what do they really mean for you, living in the real world of budgets and red tape? The tangible benefits of digitization include shorter innovation cycles, increased flexibility for rapid response to market changes, improved quality due to early detection and raw material traceability, and increased efficiency. But where do you start? 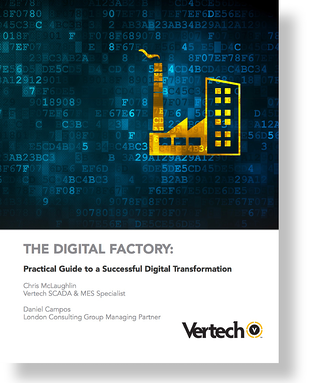 This Practical Guide to a Successful Digital Transformation walks you through the key steps to prepare for and implement efficiency improvements and actionable insights in your manufacturing facility.